If you are looking for a tenant to rent your property we've got tenants queuing who can move in within 4 weeks and maybe sign up for a longer term rental. Call us direct on 01604 838114 to get your property advertised in the next CBL cycle (we welcome calls via the text relay service). We work with accredited landlords. If your property is mortgaged you will need permission from your lender to let it. Some tenants may ask for proof of this as without it, their tenancy may be invalid. You will need to ensure that you have adequate buildings and contents insurance (where applicable) and advise your insurer that you are letting the property. You will need to give the tenant a written tenancy agreement. Your property should be structurally sound with wiring, plumbing, heating and any appliances in good working order. These should be regularly serviced by an approved contractor. Smoke alarms must be fitted to each floor of the property. The interior and exterior of your property should be kept in good decorative order and all furnishings in good condition. The property will need to be thoroughly cleaned and gardens tidied before a new tenancy begins. If the property is left empty for any length of time, during the winter months, you will need to arrange for a plumber to drain the water system to help prevent damage caused by burst pipes. You will need to remove valuable or sentimental items from your property before the tenancy begins. Gas safety (Installation & Use) Regulations 1994 mean that all gas appliances in rented properties must be serviced and checked for safety annually by a Gas Safe registered installer. The installer will provide a Gas Safe Landlord Certificate after each check, a copy of which must be provided to tenant/s. All properties must have an Energy Performance Certificate (EPC). An EPC can only be provided by a qualified Domestic Energy Assessor. 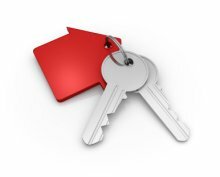 A copy of the EPC must be provided to all prospective tenants at the point when the property is ready for viewing. Furniture and Furnishings Fire (safety) Regulations 1988 (as amended) require landlords to ensure that all soft furnishings meet certain safety standards.